2018 Jeep Grand Cherokee Raffle! Win a 2018 Jeep Grand Cherokee Summit! The Jim Click Automotive Team is presenting a new 2018 Jeep Grand Cherokee Summit to the Tucson community…to be used as the featured prize in their ongoing effort to raise millions of dollars for non-profit organizations in greater Tucson. With your $25 contribution (or 5 tickets for $100) you could win this amazing car. 2nd prize is two round-trip first-class tickets to anywhere in the world! 3rd prize is $5,000 cash! 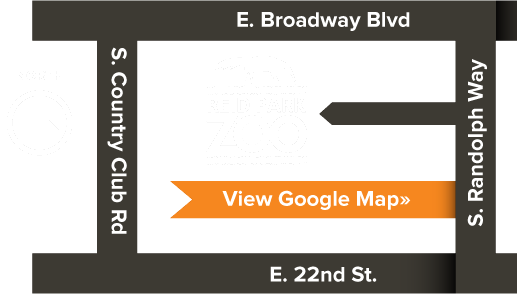 The best part is that 100% of your contribution will support the Reid Park Zoological Society if you purchase your ticket from us via the link above. A maximum of 100,000 tickets will be sold through a variety of charities in Tucson. The drawing will be held December 13, 2018. Entries must be received by December 7, 2018. By purchasing tickets through the Reid Park Zoological Society, you are agreeing to the raffle guidelines (listed below). Tickets will be mailed to you after purchase. Persons must be 21 years of age or older to win. The winner will be responsible for all taxes, registration, and travel to claim the vehicle. Employees of the Jim Click Automotive Team, Owens Harkey Advertising, and Russell Public Communications are not eligible to participate. Winner consents to be photographed and for their name and likeness to be used by the Jim Click Automotive Team and/or the representing public relations agency (Russell Public Communications) and advertising agency (Owens Harkey Advertising) for publicity and advertising purposes. Color and options on the new Ford Explorer are subject to Jim Click Automotive Team’s discretion. Second prize award of two round-trip, first-class airline tickets to anywhere in the world subject to conditions;winner must provide flight details 90 days in advance with flexibility. Winner pays all taxes, fees and surcharges. Other condition may apply.